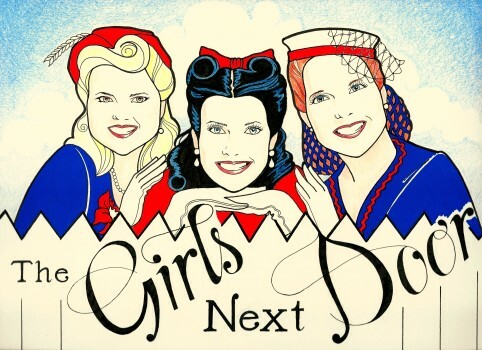 The Girls Next Door is a 1940s a cappella vocal trio, performing in the style of The Andrews Sisters. Singing original arrangements of popular music through the 1940s, the girls arrive in period costume and will take you back in time with a performance of songs interspersed with dialogue. You will meet three young friends, Minnie, Rosie, and Claire, and hear their story and the history of the time in which they lived. You can also enjoy a music-only program that features a collection of favorites sure to please guests at any event.